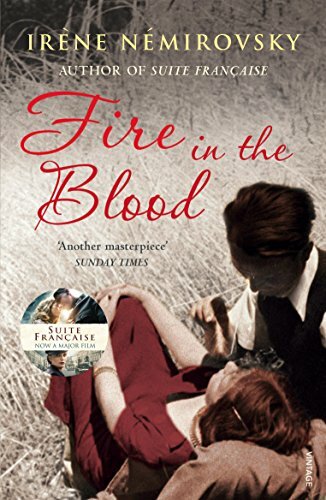 From the celebrated author of the international bestseller "Suite Francaise," a newly discovered novel, a story of passion and long-kept secrets, set against the background of a rural French village in the years before World War II.Written in 1941, "Fire in the Blood" - only now assembled in its entirety - teems with the intertwined lives of an insular French village in the years before the war, when "peace" was less important as a political state than as a coveted personal condition: the untroubled pinnacle of happiness. At the center of the novel is Silvio, who has returned to this small town after years away. As his narration unfolds, we are given an intimate picture of the loves and infidelities, the scandals, the youthful ardor and regrets of age that tie Silvio to the long-guarded secrets of the past.